A Tasca do Luis is a located in the old picturesque Taipa Village. The restaurant serves homemade Portuguese food, including Roasted Suckling Pig, Grilled Prok Ribs and much more. It is operated by Chef Luis Rodrigues, a local Macanese who acquired experience from popular restaurants in Torres Vedras, Portugal. 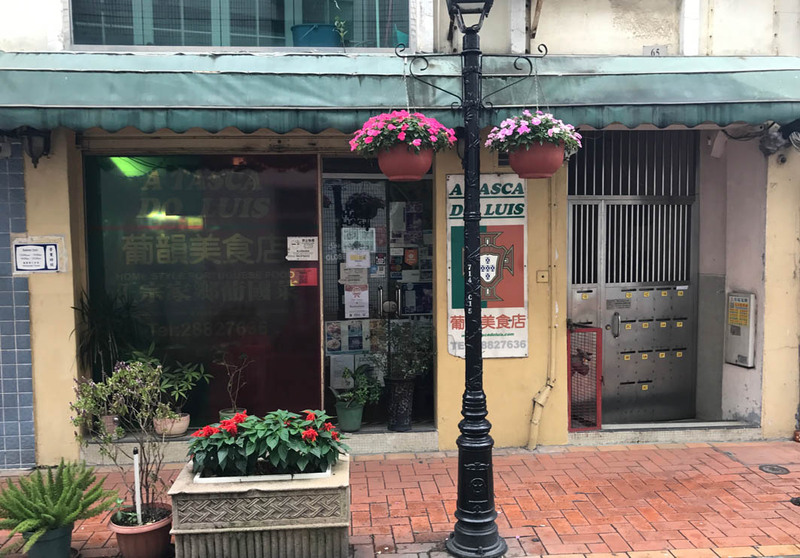 Must-try dishes include Curry Chicken (160 MOP, $20 USD), Clams with Lemon Sauce (150 MOP, $19 USD), Seafood Rice (180 MOP, $22.50 USD), Grilled Fish (160 MOP, $20 USD), and the Codfish with Cream (150 MOP, $20 USD). Guests should note that the restaurant is closed on Wednesdays.